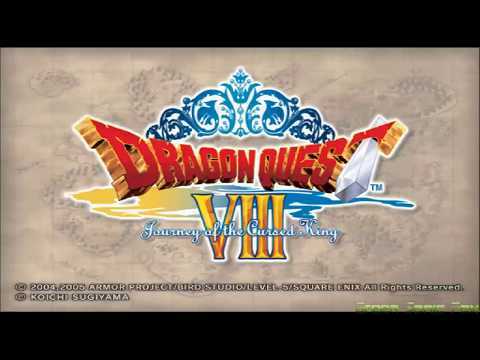 OverviewThe eighth main entry in the Dragon Quest franchise. 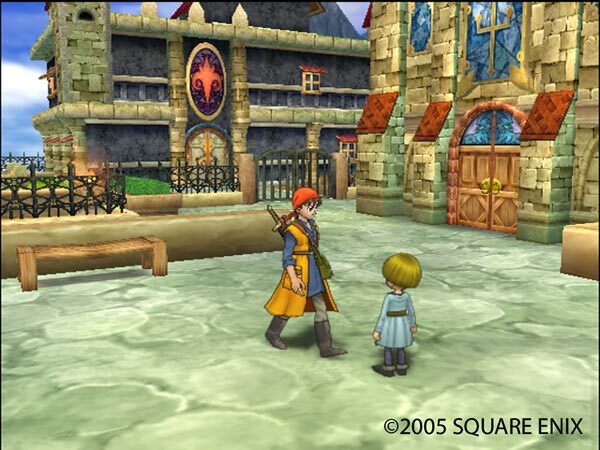 It was the first game in the series to utilize a full 3D environment and featured a cel-shaded graphics style which would become standard for all future games in the franchise. 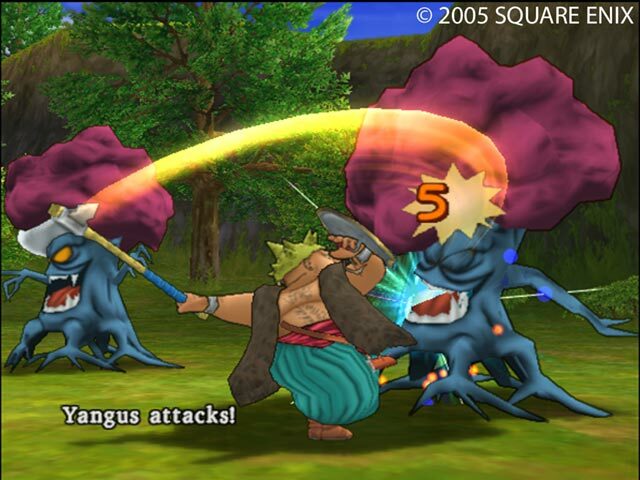 From rolling plains, to staggering mountains, from tower peaks, to dungeon depths, Dragon Quest 8: Journey of the Cursed King is a massive RPG that has a gracefully woven together story with twists and turns that will keep you on the edge of your seat till the end. An evil jester, hungry for power, steals a scepter holding power beyond imagination, breaking a centuries-old seal and imprisoning an entire city in time. All were frozen except 3. The king, the princess, and of course you. The reason you survived unscathed remains a mystery, but the king and queen were not so lucky, having been turned into a hideous beast and a white horse. Begin your journey to change the king and princess back to their human forms. Definitely a game to check out. This game is a classic RPG turn based game similar to any final fantasy releases, but this has a querky toon styled graphics that may look similar to the style of Dragon Ball Z because a group or most of the artist designers worked on both. Along with a very in depth story line that is original and pleasing the game has content that will have you entertained for up to 100 hours. 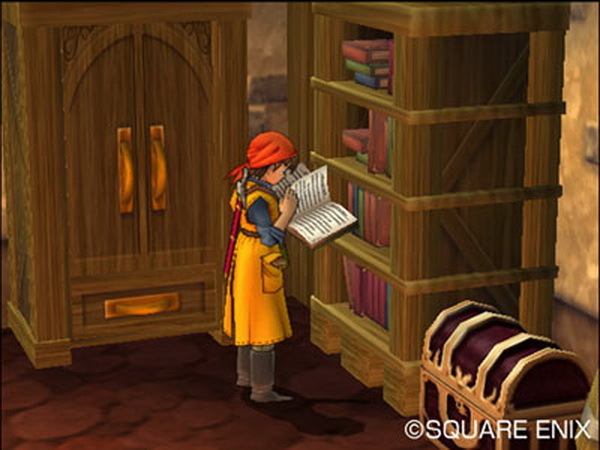 It fills every need of the gamer that craves for a huge amount to discover and and tonnes of items to find and create. This game is much more popular in Japan compared to other western countries but never the less it is still a great game. 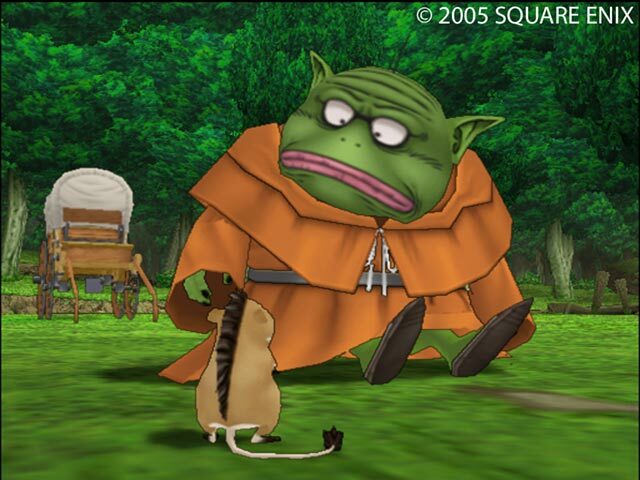 Dragon Quest 8 is turn-based RPG. It has a great story and great characters. 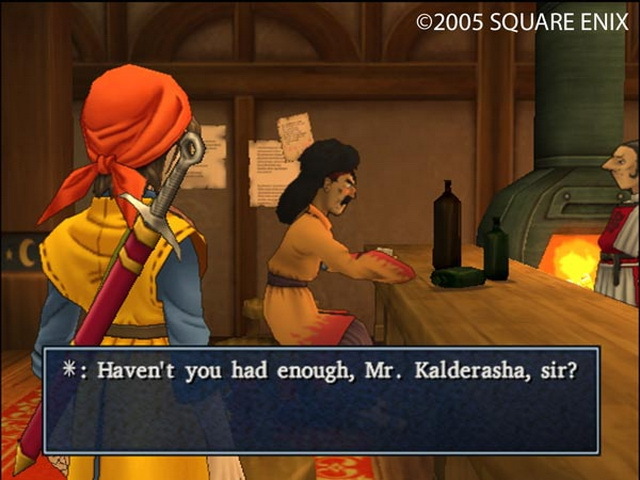 You play as an unamed character, you can name him. He is often referred to as Hero, however. You're on a quest to turn the king back into his former self. 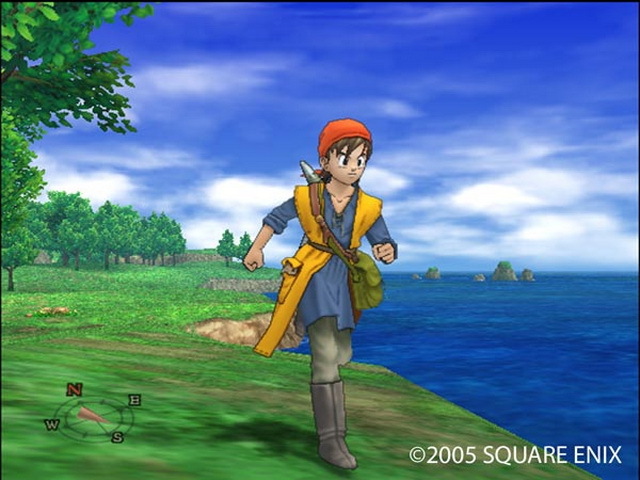 DQ 8 features amazing animations. Battles is where you'll spend a lot of your time. Each character has their own types of weapons, armor and skills. You must use these to your advantage. 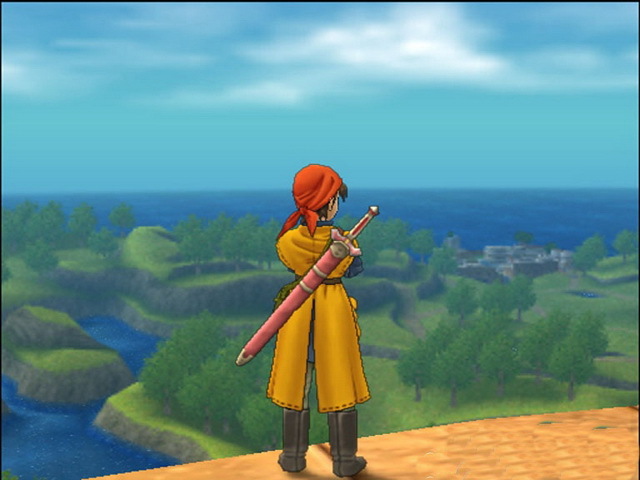 The graphics in DQ8 are beautiful and well designed. 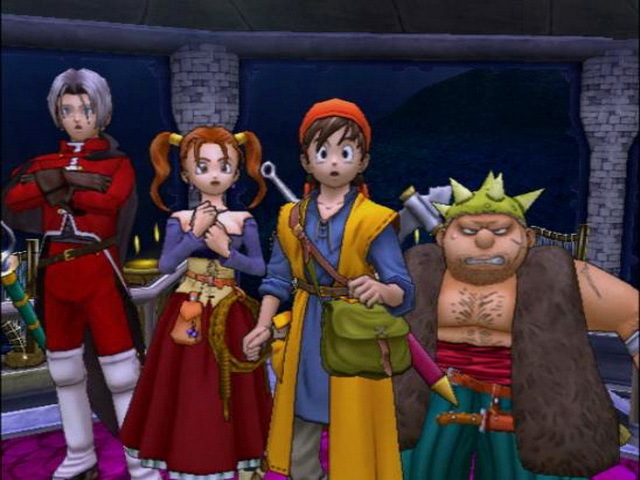 If you're a fan of J-RPGs or the DQ series, you can't miss this one! Now you can add videos, screenshots, or other images (cover scans, disc scans, etc.) 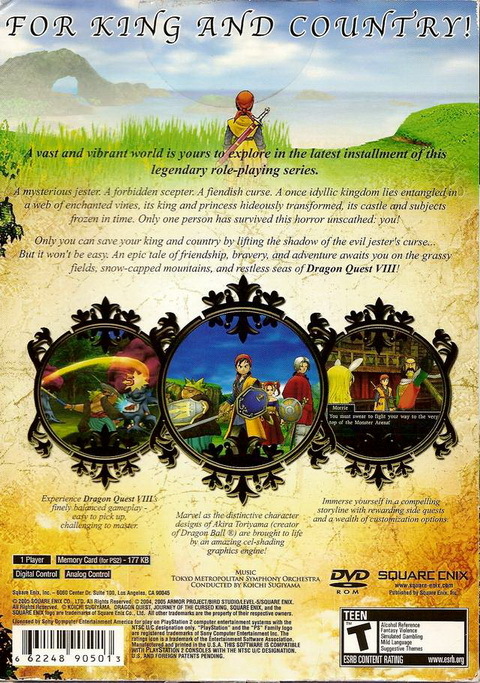 for Dragon Quest VIII - Journey of the Cursed King (USA) to Emuparadise. Do it now!